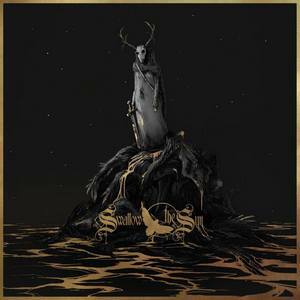 Last we heard from Swallow the Sun, it was in the form of a mammoth-sized triple release, Songs of the North in 2015. Since then lead songwriter/guitarist Juha Raivio lost his partner Aleah Stanbridge in 2016. 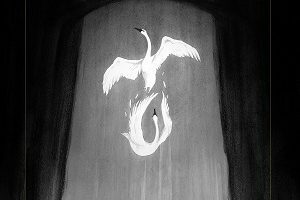 While in his grief, he designed the Hallatar project in her honor, and When a Shadow is Forced into the Light continues this process with Swallow the Sun (she had also been involved with contributions to the band over the years). The result is an poignant and touching album that feels even more personal than anything the band has done to date. Where Songs of the North was vast and expansive, covering multiple facets of the band, When a Shadow is much more restrained and streamlined. For starters, it’s only 52-minutes. 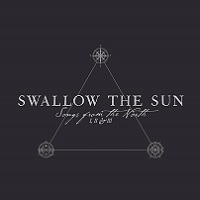 For some it would make for a long album, for Swallow the Sun this is quite concise (their shortest full-length to be exact). For a bit more surprised, the album doesn’t cover much doom/death in its nature. 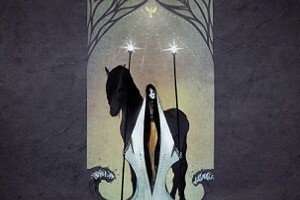 Instead, facets of post-metal, gothic (think more latter day Sentenced than H.I.M. ), Katatonia-esque droning, and light black metal influences tend to cover more of the legwork than crushing doom. Not that the album doesn’t sit in a proverbial haze of gloom, but for the most part it is a more mellow and reflective affair than one that pounds you into oppression. But it all works in the context of what the band is trying to convey. The sense of loss is palpable in each of the tracks, but it’s not without a little bit of hope glowing in the corner. At some of the heavier moments, such as the latter half of the title track, there’s a sense of grandeur to it that beckons your full attention and really shines. Likewise, the closer “Never Left” has some of the album’s strongest emotional weight as it builds to an powerful conclusion. If there’s one thing to nitpick, a few of the middle tracks could have been slightly trimmed but it never causes them to lose their potency. When a Shadow is Forced into the Light takes Swallow the Sun forward from an evolutionary stance. They are trying some new things here, and the emotional resonance is what will draw you back to the album. It may take a few listens to ‘get it,’ but it stands as another touching tribute to Stanbridge and shows the band as willing to continue their growth and development as a unit.